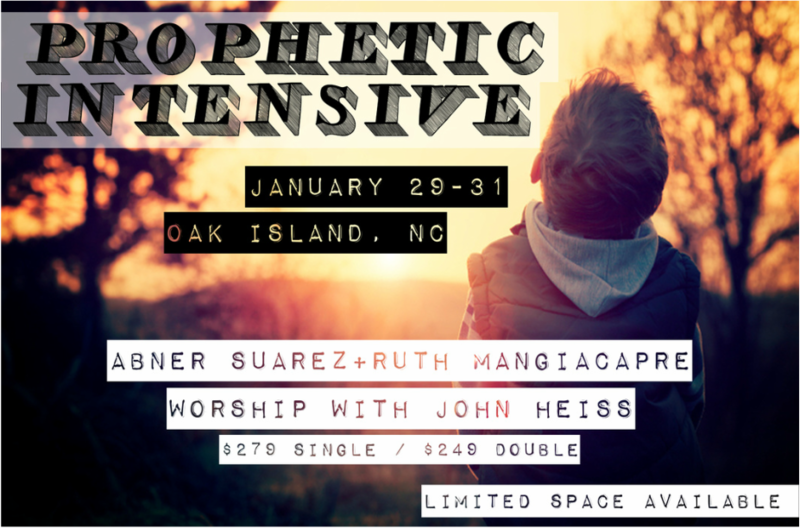 To sign up for the Prophetic Intensive wait list, please click here. Abner Suarez is the President of For Such A Time As This, Inc. He is an ordained minister with the Apostolic Network of Global Awakening under the leadership of Randy Clark. He holds both a Bachelor of Science and Master of Education degree from Campbell University in Buies Creek, North Carolina. He also holds a diploma of Master of Ministry from the Wagner Leadership Institute. He is an avid reader, coffee drinker, and suffering New York Jets fan. Ruth is a prophetic minister, teacher, and seer in the body of Christ. She has been in full time ministry for over twelve years. She pioneered Impact Ministry of the Triad in 2007 after serving as an associate pastor for 7 years in North Carolina. Ruth's passion is to train, equip and release people into their gifts and callings. This is accomplished through conferences, preaching/ teaching and retreats. She has been teaching the School of the Prophets for the past three years in High Point, North Carolina at New Day the Church at High Point where she and her husband are part of the leadership team. John has been the Senior Pastor of Wellspring Fellowship since 1999. Originally from Long Island, NY, Pastors John and Mary Anne have lived mostly in the Virginia and North Carolina areas since the late 1970's. Before pastoring Wellspring Fellowship, Pastor John served as Music Director and Worship Leader for other churches and organizations, including work with Dr. Paul Johannson at Elam Bible Institute in Lima, NY, and in the mid 1980's was involved in the directing of the popular Christian musical groups "Praise Song" and "Highest Call."